Everything great starts with something small. The fact that the Exumas have got to the point of great renown has been one of the most surprising things. These little bunch of islands which lie to the outer part of the Bahamas is not what you think would be famous. However, Exumas are one of the best places to have a vacation in. Filled with beautiful sandbars and beaches that stretch around for miles, these small group of islands houses a surprisingly large number of beautiful sceneries. While the Exumas first become famous for the opportunity, it offers to people that of swimming with pigs at the bay it offers much more. Want to have your adventure? Book yourself one of the Exuma vacation rentals, and read on to get a sense of what you should do. The Little Galliot Cay Sandbar is what dreams are made of. 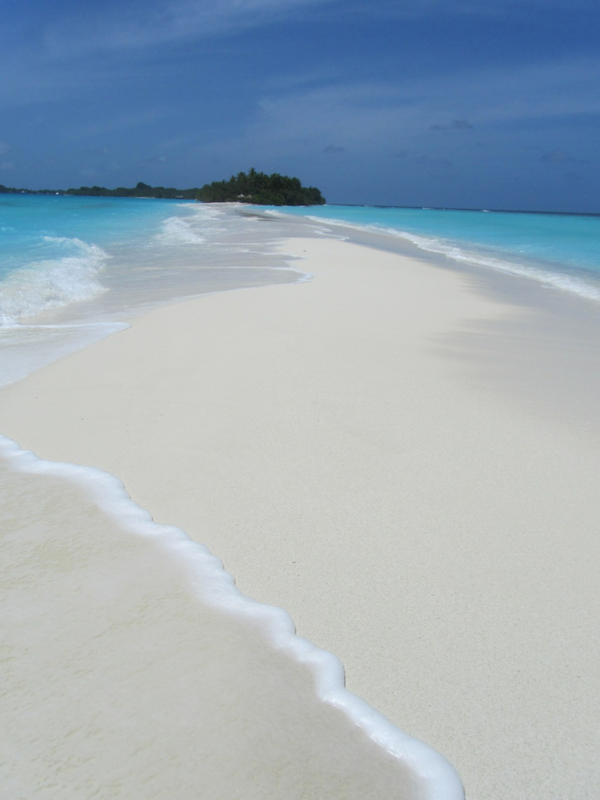 A long stretch of sand that stays afloat only during low tide is something that you would fall in love with. This is one of those places with exquisite beauty that you must keep photographing to keep in your memories. Jott down on the sand which has no footprints and read a book, or build yourself a pretty sandcastle before the high tide sets it. Visiting in the morning is recommended since that is the time when most of the sand is visible, and you can walk along the sandbar for a longer time. It also provides you with the unique opportunity to have a cuppa in between the seas. The only marina at the cays, this little island holds all the buzz that the Exumas can offer. Restaurants and bars line the beach and are perfect for your short visit all around the place. Remember to try the conch salad made with live conches and to try out the seafood at the Cay. If you do make it on a Saturday, enjoy the Chat N Chill, where everyone in the Bahamas comes together to celebrate. You will find all the advice you need about visiting the island here, and some of the freshest seafood in the world. Pro tip, the weekly Chat N CHill also hosts a large Pig roast, so, if pork is your go-to comfort food, try it out for yourself. Imagine this, low hanging cavern which hugs everything around you, a water-filled diving experience, and all the fish you can ever imagine seeing. The Thunderball grotto is what an adventurer’s dreams are made of. However, be careful while, navigating around here, it brings with the adventure a sense of trickiness too, since, navigating this place without having some experience is snorkeling can be quite dangerous. However, once you make it through and the sun hits your eyes again through the sea, you would find yourself in a bonafide Disney movie, with fishes all around. Sure, not all of us can have the perks that James Bond has, but, there’s nothing wrong with sharing some of his adventures. One of the things you must try at the Exumas is their excellent Conch salad. However, when you are buying them at the restaurant, why not get some conches yourself to. At various points in the beaches, it is easy to dive in and grab some conches and have a treat as you mix them with a salad. Sure, it’s not exactly hunting but, where else would you get to swim with the fishes and arrange for your little breakfast. Ask the guides for help regarding the places, some places near the Starfish Reserve are perfect for finding the Conches you would need. These conches also make beautiful gifts for your family back home. An often forgotten stop in the usual tourist itineraries, Shroud Cay, is the answer to your dreams. This small marine place just offshoot of the Exuma Sea and water park is a bit difficult to navigate but, once you get there, there’s a huge trail that you can walk through. This is one of the trails that we recommend since it takes you through shoulder-deep water and gets you to the highest point at the Cays. The cliff is where things get interesting. You can look around and see the entire sea stretching out before you and feel accomplished. Filled with beautiful mangrove vegetation, the Shroud Cay is a treat to the eyes as you follow the tracks that lead you to the highest point. Remember to carry a second set of clothes and a waterproof camera since there are sceneries that you would not want to miss out on. Pro tip, this place falls under the protected reserves so, it is recommended that you do not disturb any of the natural flora at fauna when you visit. If your adventure of choice includes the Gangster movies of the 80s, Norman’s Cay is where you should be heading off to. Back in the days, a drug plane crashed just off the island and had laid there since. Then, a symbol of a booming drug business, now the drug plane is home to hundreds of marine life forms floating around. The water here is shallow so you can quickly go in for a long session of snorkeling as you explore a real-life wreck of an airplane. Who knows, maybe you will discover a mystery all to yourself? 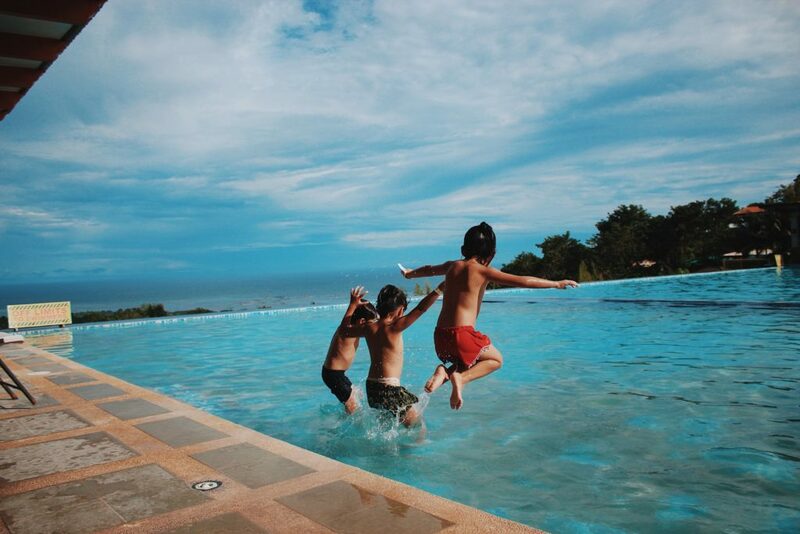 Luxury or Economy: Which Is Better When Vacationing with Kids? It can seem like an extravagance to spend money on a luxury hotel when you have your children with you, so why not save your dollars and go for budget accommodation? There are pros and cons to each choice, but if you normally only go for the economical option, it’s worth considering some of the advantages of going for a more high-end standard of accommodation. Rather than just fixing on the cost, think about the other factors that could play a role in making your vacation special. A five-star hotel like one of the hoteles de 5 Estrellas en Acapulco, or a palatial cabin with waiter service are great ways to live when you’re away, and as adults, you and your partner will be able to appreciate the luxury and high standards of the rooms, service and facilities. You might think this would all be lost on your kids though, who will take very little notice of whether their sheets are Egyptian cotton and be far more interested in finding out if there’s room to play dinosaurs or if there are any other kids staying there. So why would you consider luxury? Well, it’s your holiday too, so being able to enjoy the benefits of more exclusive surroundings, excellent cuisine and the accompanying levels of hospitality, can make the trip more special and more relaxing for you. You’ll also have fewer worries, as with such high standards and a reputation to maintain, safety and hygiene will be a top priority. If you are concerned about the kids running amok in the hallways, or waking other guests up when they start crying, try to put your concerns aside. If the hotel isn’t able to cope with children, they wouldn’t have accept your booking, and wherever you stay, the kids could still cause a disturbance to other guests. In a high-quality hotel, noisy children are probably less likely to wake anyone else up anyway, because the walls will have better soundproofing! Because it’s cheaper, you can feel you don’t need to worry so much about the noise, or if your toddler draws a self-portrait on the wall with his crayons. The truth is, other guests are just as liable to get put out by noisy kids in a budget hotel as a five star one. If there’s any damage you’ll still have to pay for it, wherever you are. You could also be missing out on the entertainment and activity opportunities a better quality hotel may offer. While safety and hygiene legislation should be adhered to by all levels of accommodation, you won’t get the same quality of food and your rooms are likely to be smaller and less well appointed. If you’ve got a small room with not much space for play, it can result in the kids getting bored more easily, and that’s when the whining starts. There are hotels and resorts all along the scale between the economical and the luxurious, so you could aim for somewhere in the middle – not so expensive, but better facilities and higher quality than the cheapest places. If you aren’t sure what would be best for your family, have a good look at online reviews to see if they can help you make your mind up. We are approaching the second half of 2018 and starting to make preparations for everything that those months bring with them. For most Americans, the summer months come with a good dose of warm, relaxing weather. However, for parents with young children, those months can be anything but relaxing. Once the children have begun their summer vacation, it falls to their parents to arrange childcare and ensure that they are kept entertained. In households where both parents have to go to work every day, these weeks can be particularly stressful. If you are in one of these households, you will probably already be familiar with the routine. You also may well have discovered that things go much smoother if you take the time to plan ahead. One of the ever-popular options for a family summer’s day out is a tip to the theme park. The United States is home to a number of excellent theme parks, as well as some of the most famous roller coasters and other rides in the world. With so many theme parks to choose from however, it isn’t always easy to decide which one to visit. This is, of course, further complicated by the inevitable disagreements between the kids as to which one you should go to. Unfortunately, we can’t help you to convince your family to go along with it, but a trip to any of the theme parks on this list is very unlikely to go down badly. Each of these theme parks offers exactly the kind of experience that visitors are longing for. Not only will these parks provide your kids with the perfect day out, they also have much more to offer adult visitors than most people realize. Who doesn’t love Lego?! If you are a lover of Lego – a normal person in other words – then you will be unable to resist the unique charm of Lego Land. This place is overflowing with activities and rides for children of all ages. Over the 150-acres that this theme park covers, there are 50 or so attractions to be seen, including a beautiful botanical garden which is sure to please more adult visitors. One of the great advantages of Lego Land is that it contains attractions to entertain visitors of all ages, no matter how young or old. Adult visitors to the park will no doubt get a decent nostalgia hit out of the whole experience. Perhaps the only company that can offer the same kind of nostalgic experience as Lego is Disney. Much like Lego, possibly the most wonderful thing about Disney is that they are responsible for giving your children just as many precious memories as they have given you. Many of the characters they feature, and the stories that they tell, will resonate between generations. There is a reason that Disneyland has the international reputation that they do. Disney are of course titans in the movie industry. For over almost a century now, they have told their own unique stories, and also given their twist on a number of classics. The result is a theme park which is bursting at the seams with beloved characters and treasured memories. But apart from the nostalgia, Disneyland is also home to some of the most thrilling roller coasters in the United States. Their rides are, naturally, themed according to various Disney IPs. Girls and boys of all ages will surely get a thrill out of riding these rides alongside many of their favorite characters. 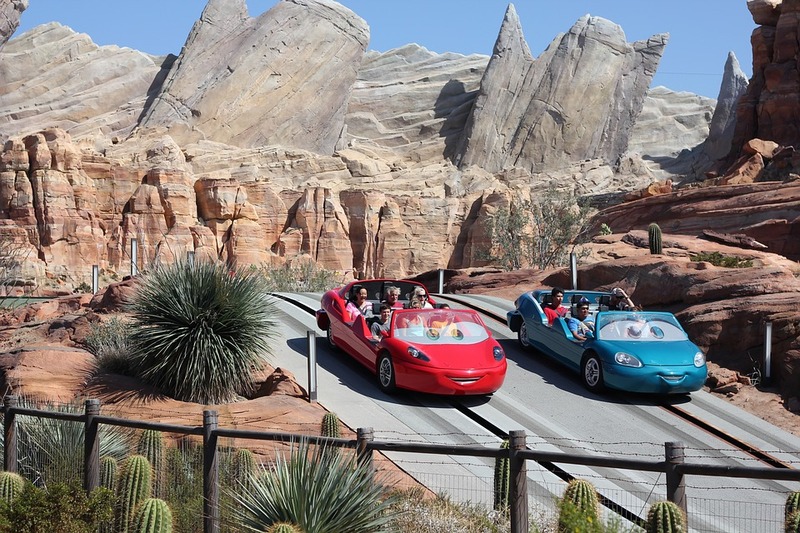 Disneyland is one of the biggest theme parks in the world and it isn’t hard to see why. The first T-themed theme park in the United States, Universal Studios Park has gone on to become one of the most popular theme parks in the world. In fact, with over 40 million guests every year, Universal Studios is the largest theme park operator in the world. The Universal brand now operates theme parks in a number of different locations across America, including Hollywood and Florida. With a plethora of beloved movie franchises, including Indiana Jones, Jaws, and E.T, under their belt, Universal has plenty of IPs to play about with, and they take full advantage of them all! You can even book a VIP tour with a group such as Magic VIP Tours. Click the link to check it out! If your kids are big fans of Sesame Street then this is the park for you. They will get to meet all of their favorite characters, including Big Bird, Elmo, and The Cookie Monster, among many others. As well as the opportunity to actually meet some of the characters from the show, there are also a number of different water-based activities for kids to have a go at. The theme park even puts on shows, most notable being Elmo – The Musical. This park started life as a recreational area for Hershey’s employees but has since evolved into a full-fledged theme park in its own right. This massive theme park boasts an impressive selection of rides and roller coasters. All of these should appeal to kids, but adults might even find a few of the rides are enjoyable enough for themselves. In addition to the many rides on offer, there is also a shaded zoo, and even an air-conditioned chocolate world. This is one theme park that won’t burn a hole in your pocket just from the entrance fee. Located in New York’s iconic Central Park, Victorian Gardens is home to a dozen or so handcrafted rides. These include bumper boats a flying swing, and even a miniature roller coaster. A number of interactive live shows provide further entertainment for younger children, and might just be enjoyable for adults as well. The United States is home to many of the world’s most renowned theme parks. Many of the biggest players in the theme park industry operate in the US, including the biggest of them all – Universal. The theme parks on this list are just a selection of the huge number on offer. Hoping for a hassle free holiday with the kids? Read this first! We all know that travelling with the kids to get to our holiday destination is something we usually have to brace ourselves for every year. But sometimes even planning our annual holidays can seem like an impossible task. How do we keep the kids happy? Is a week too long? How can we keep their routine in check? How can we avoid temper tantrums? Don’t worry, you’re not the only parent with these concerns! Why not check out the ideas below of how you can achieve a hassle free holiday with the kids, that everyone will enjoy? Did you know that many people still don’t invest in travel insurance before they go away? It’s a pretty dangerous game to play, even more so if you’re travelling abroad with your children. Everyone should know why they should have travel insurance and why insurance is important if you lose your medication while abroad. Be smart and get you and your loved ones a policy before you travel. You know what they say: fail to plan and you plan to fail! The same applies to planning your trip. There’s nothing worse then heading to a new destination and having no idea what to expect. So, do your homework. See what local attractions are around or see if your hotel has any child-friendly activities or entertainment. By planning ahead, you can easily fit these things into your holiday itinerary and your budget. If you’re travelling into Europe then chances are that you’ll be able to find a lot of your home comforts there, so don’t worry about packing everything your child likes. While packing their suitcase, get them involved. Which t-shirt don’t they want to take? Let them choose their beach towel, and then that way, if something is forgotten, they won’t make a huge fuss about it! When on holiday, it’s not unusual to want to cram in as many activities and sights as possible during the day, then head out for a slap-up meal on the evening. But this doesn’t always bode well with children. The key thing to remember, is that you’re on holiday, so it’s important that everyone takes time to relax and even time out from each other. Set the pace to what your youngest child can handle, and maybe even set aside a few hours of colouring, reading, napping or just relaxing by the pool or in your hotel room – then you can be ready for round two! Leading on from this, it’s also important to remember that even though you might be a very close family unit, being in each other’s company for a straight one or two weeks can get a little intense for everyone. If you and your partner fancy a meal out one evening, then see what baby-sitting facilities the hotel provides. The kids will enjoy some time away from the same company too – for a little while anyway! If you are worried your kids will be sulking and whining about things to do, you can breathe easy for China. Filled with fun attractions, sights and activities for adults and kids alike, your family will never be bored. There are countless things for the curious. Plenty of new foods, markets, amusements, tours and more to explore. If you are looking to take some of the weight off your back, why not book China private tours now. They will take care of the details and bookings so you don’t have to. Plus, their travel experts and tour guides have insider, local knowledge of the places you’re visiting. Nothing could be simpler! If you are nervous your kids will spoil the epic trek to the top of the Great Wall of China, don’t risk it. They will be in awe and truly amazed by the lift that towers above the sea and goes on for 723 meters. You will get to see some amazing scenery whilst the kids are entertained and fully experiencing the ride. This is a must for anyone visiting China but doing the ski lift is a sure way to settle the kids and teens. What girl doesn’t love dressing up and posing for photos? If you are looking for something special for your little princess to do, why not take them to do a photoshoot! They can dress up as princesses, have their hair and makeup done and feel like a VIP for the day. Book tickets to see Chinese acrobats that perform jaw-dropping stunts similar to those seen in superhero movies. No ropes and safety nets required, the amazing stunt men and women know how to wow the audiences and keep them on their feet. Why not take the kids for a thrilling session of Kung-Fu with some real masters? Several hotels and tour agencies in China will book child-friendly lessons for a number of martial arts. Your kids can be kept entertained and learn something they may come to love later down the line! 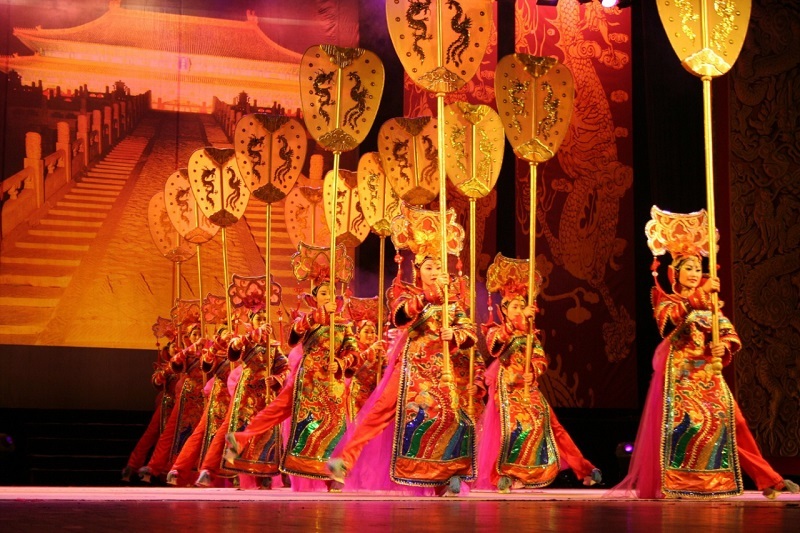 They also get introduced to an authentic part of Chinese culture. Shanghai is one of the most exciting cities in China. Full of trains, skyscrapers and more, your kids will have plenty of fun things to do. 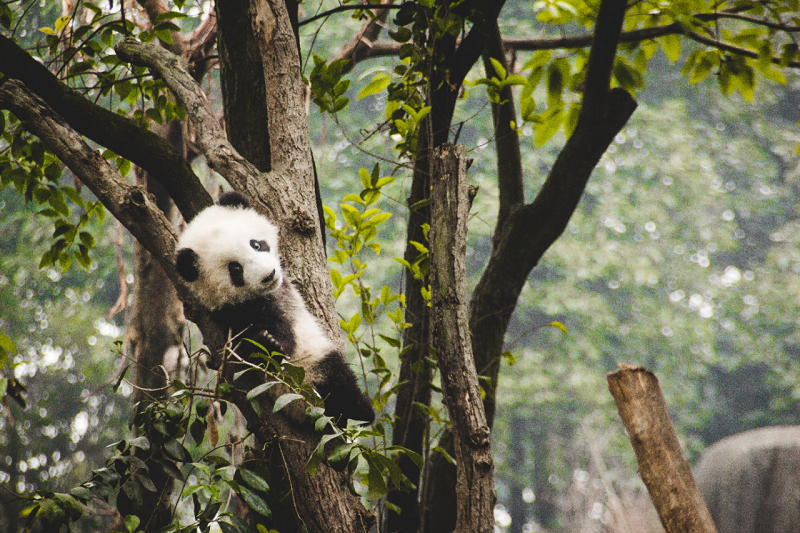 Take them to a theme park for the day and discover some of the fun-filled attractions China has to offer. 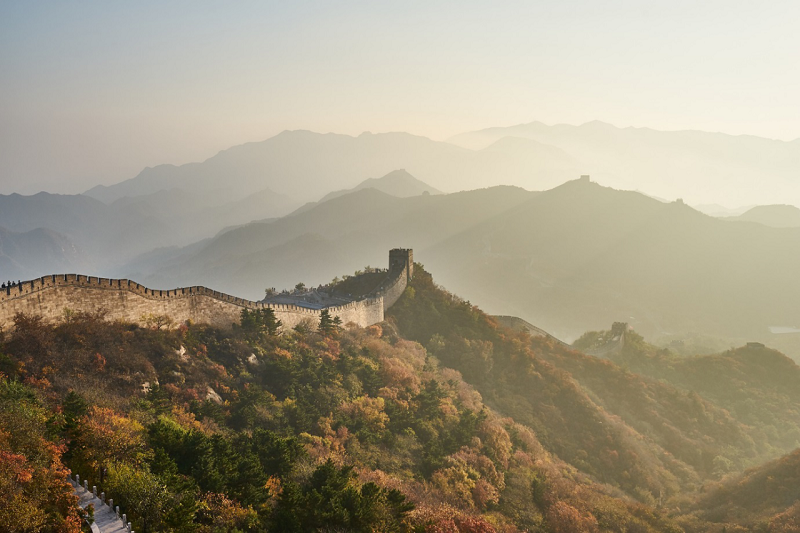 These are just a few of the many things you and your family could be getting up to on your trip to China. There are countless kid-friendly things to do that will make your trip to China completely unforgettable.